Hayabusa has develop a new “hybrid” MMA shorts with their new Hayabusa Velocity MMA board shorts. 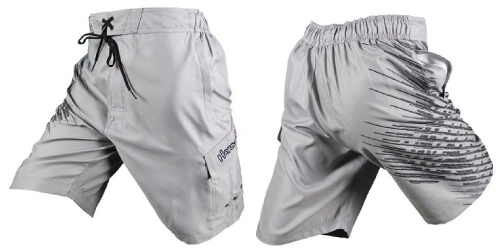 It takes the construction qualities of fight shorts and combines it with the styling of board shorts (surfing shorts). The Velocity shorts feature a sleek light gray color scheme and an artistic rendering of the Hayabusa falcon logo on the side. There is also three pockets integrated into it, including a cargo pocket for extra functionality. These shorts are perfect for casual wear, working out or light training. 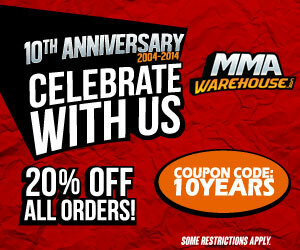 We DO NOT recommend these for fighting or grappling because of the pockets. If you wan a sturdy, stylish and pocket-less shorts check out the Hayabusa Shiai Fight Shorts.